A story of five identical brothers searching for personal self-expression. Born in Communist Poland to an American mother, the brothers struggle to develop their unique traits and personalities. 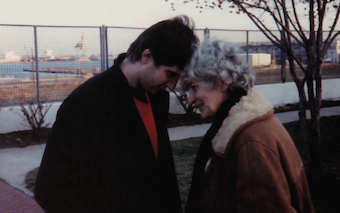 Escaping the economic uncertainty of Poland in the 1980s, the family relocates to the United States. Nearing adulthood, all five brothers pursue different identity-defining goals: art, music, sports, farming and commerce. In time, driven by nostalgia and business opportunities, four of them return to Poland. The fifth brother stays close to the mother, whose health is deteriorating. Now in their middle-age, the quintuplets must decide if maintaining their unique identities is worth the price of shattering their family ties. "Quintuplets," invites audience to ponder the theme of personal identity and the price we must pay for finding our individuality. Is the sum total of our decisions what makes us unique? Is defining your own personality worth the effort, or should we remain indistinguishable from each other?